Wally : As a supporter of renewable energy I think this is a great summary of wind power issues and the answers which need to be more widely known. Yes, here in Scotland we are building wind generation plants in large numbers as part of our Scottish Governments policy to make best use of renewable resources. We are also making great strides in the generation of tidal and wave powered generation plants. The question I have is regarding the distribution of generated electricity over large distances. We build turbines in remote locations across The Highlands and the main grid loading is in the Central Belt with large (by our standards) cities like Glasgow and Edinburgh. Some critics say that we loose up to 85% of the power generated because the power lines that carry the load are unable to be any more efficient. The distribution technology does not yet exist to improve the efficiency. Is this the case? It seems a little odd that this critism applies to wind power and not other forms of energy generation. How efficient are wind farms compared to traditional fosssil fuel plants? What are the distribution issues and what are the answers now and in the future. I doubt the loss is close to 85%, but probably closer to 50%. Still way too much, but this is common with AC power lines. High voltage DC is more efficient, but still has significant inefficiencies. The technology to improve the efficiency of distribution does indeed exist. High Temperature Superconducting cables might sound like science fiction, but this is actually 30 year old technology. The cost of cryogenics has dropped to the point where this technology is quite feasible. Using liquid hydrogen, which is not much more expensive than water these days, the temperature of the cable can be controlled at 70 degrees Kelvin, and eliminate virtually all of the loss in the cable. The cables can now be produced in lengths greater than 1 km, but can be spliced together with minimal loss. Burying these cables underground or beneath the seabed would protect the cable, help insulate it, and would eliminate all of the NIMBY lobby that’s tying up projects in court. Wally, Thanks, I take it that at preset while high temperature superconducting cables are technologically feaseable the cost is still prohibitive? If this is the case, at what point would you see them being economically viable? Could cable runs of 400Km plus be both technically and economically a practical proposition? We have had a great deal of fuss over long distance power line up-grading here in the Scottish Highlands and it would be useful to know if, as and when high temperature superconducting cables might be available and even more interesting to know what the Scottish Government intends to do with them. I have seen business cases that suggest HTS cables are economically feasible today. 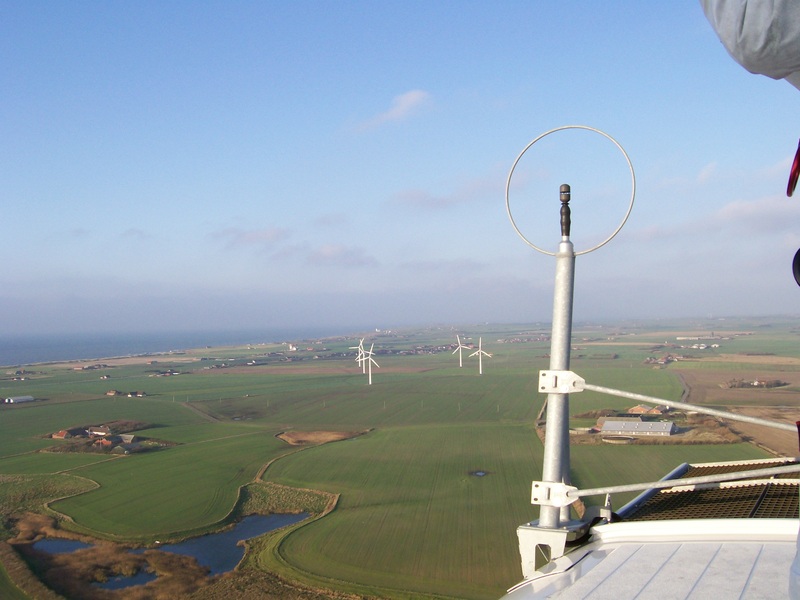 Using HTS cables within the wind farm (from the generator/converter to the common connector) can be done with short cables, and a common cryogenics system at the connector could cool all the cables from one point. This would be a great first step into HTS technology. For offshore wind farms, a traditional HVDC line could be used for the long haul to shore. For onshore wind farms, there is no reason not to use HTS on the long haul as well. Thanks again, I would be interested in seeing them as we have many critics of wind farms in Scotland, mostly it has to be said in aesthetic grounds which is rich bearing in mind that the Scottish landscape is almost all man made …. we cut all the trees down five hundred years or so ago…. anyway, the main argument which does hold water is the inefficiency of the transmission system. If you could let me have sight of the business cases I would be grateful – send to stephen_doughty@hotmail.co.uk if you are able, thanks.